Flooring takes up a lot of the material in a new house, so it behooves you to make sure your not hurting the environment. 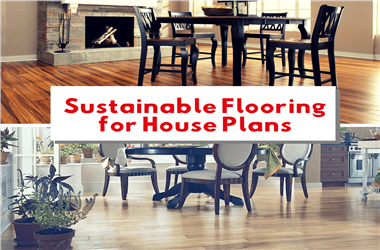 We look at most popular eco choices: cork, bamboo, engineered wood, recycled (reclaimed) wood, recycled-glass tile, wool carpeting, linoleum, and polished concrete. 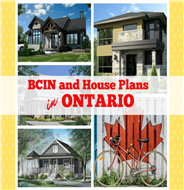 Ontario's Building Code Identification Number (BCIN) is a must-have before building in that province. It’s similar to the requirement in most parts of the United States that local architects or engineers inspect/stamp blueprints before homeowners can receive a construction permit from their municipality’s building department. Here's what you need to know. 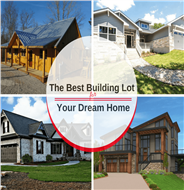 Did you know there are at least 7 kinds of building lot to choose from? 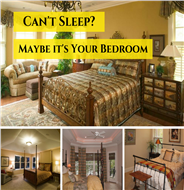 Finding just the right one for your dream home construction project isn't always easy. And when you choose the perfect lot, you’ll need to match your house plan to it. Here’s what you need to know. 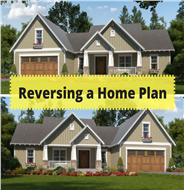 Did you purchase plans from The Plan Collection? Have you built your amazing new home and wish everyone could see it? Now they can with our first photo contest! 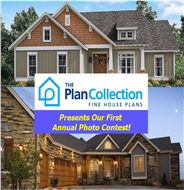 Submit a photo of your home and share it with friends and family for a chance to win a $300 Visa gift card! The secret to a successful day is a good night’s sleep beforehand. While the temptation of browsing a smartphone in bed or thinking about the stresses of your job are contributing factors to poor sleep habits, your bedroom might actually be what’s stopping you from getting the best sleep possible. Love fireplaces? Brace for some bad news: a fireplace and the subsequent chimney aren't the blessing you might consider them to be. 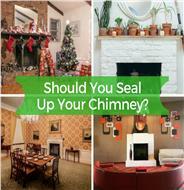 Many home improvement professionals see your chimney as a liability instead of a commodity and actually recommend sealing it up permanently. Here are some reasons driving that suggestion. 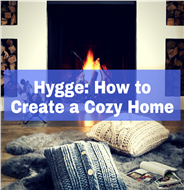 In Denmark, an entire way of life is built around hygge (hoo-gah) – creating a comfortable ambiance, a home where you can relax and into which guests are welcome. A few simple tweaks and additions to your home can help to create your own cozy atmosphere. 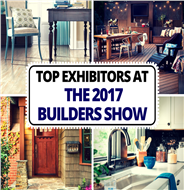 The International Builders Show can be a bit overwhelming, with hundreds of exhibitors, keynote speakers galore, and exciting demonstrations to choose from. But we have compiled a list of the top 10 must-see exhibitors to make it easier for you do-it-yourselfers out there to find what you’re looking for. 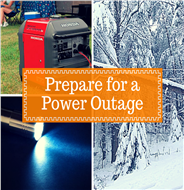 A power outage during a storm can make a harrowing situation even more stressful. You will need light and may need power for your furnace or to operate your sump pump to minimize any damage to your home. Preparation is the key – here's how you can plan for an emergency. The surface material of a roof is important, but no matter what you use to cover it, a roof wouldn't be possible without the base material below. The perfect base, or roof sheathing, material is lightweight, dimensionally stable, strong, and affordable. 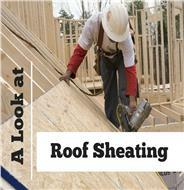 Here's how some popular sheathing options stack up.